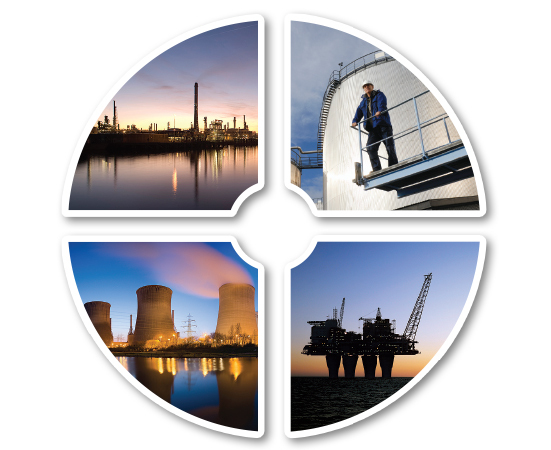 Integrated Production Information (Exaquantum/mPower) | Yokogawa United Kingdom Ltd.
mPower’s object-oriented data structure makes it easy to build a model of your production, to the level of detail required. mPower is a member of the Exaquantum family of products that includes the nHance and Connect ranges of application and connectivity extensions. Scalable dynamic mass balancing with advanced data reconciliation. Monitoring of energy flows in and out of a selected area. Real-time view of production including raw materials, intermediates and finished products. Track raw materials, intermediates and products through an entire plant for continuous and batch-based processes. With the ever-changing line-ups between refinery tanks, process units and terminals automatically monitored by the software, and with built-in mass balancing provided to calculate flows which are not directly measured, mPower provides enhanced information on material flows, inventories and compositions. 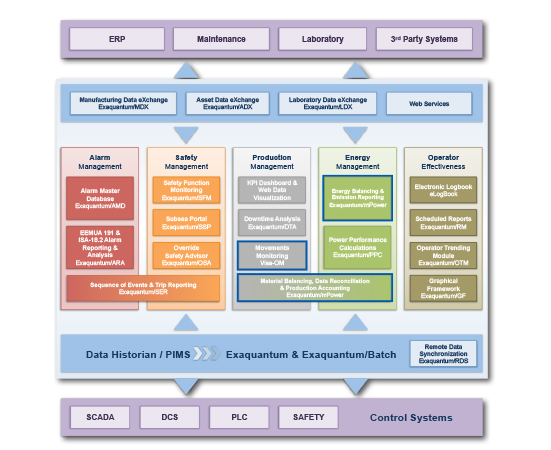 The manual labor normally associated with creating the daily stock and movement records is reduced, while continuously updated information on the compositions and properties of the materials present in each part of the plant allows operators to make optimum decisions on processing strategies, movement routing and line flushing needs. Operators are further assisted by live displays which indicate which tanks will next approach limits or targets, and by an enhanced context sensitive alarm system which draws attention to unexpected tank level behavior and measurement conflicts. Utility plants which consume process gases are frequently required to change their fuel mix as a consequence of changing activities elsewhere on site. mPower combines understanding and the calculation of material and energy flows with knowledge of material properties and combustion characteristics. The oxygen demand for complete combustion of a changing mix of fuels is frequently updated, as is the composition and emission rates of the flue gases, so that air supply can be properly adjusted and a continuous record of environmental emissions can be maintained for auditing and regulatory purposes. With this knowledge, operators can make fully informed adjustments to the use of the alternative fuels available. Energy-based KPIs are calculated and recorded to allow continuous monitoring of equipment performance and degradation, thereby optimizing maintenance strategies and minimizing energy losses. mPower combines the ability to calculate and reconcile total mass flow measurements and inventories with an understanding of material compositions in order to provide full information on material inventories and use. Flexible reports giving material inventories, inventory changes, inventory location and material usage, both in terms of total tonnage and also in terms of component tonnage, are available. Facilities are provided to close accounting periods, so as to guard against inadvertent subsequent alteration. An important aspect of these reports is the presentation of quantitative information on the production of waste material in solid, liquid and gaseous form, which provides a continuous record of environmental emissions can be maintained for auditing and regulatory purposes. Flow measurements prior to gas and liquid separation units are notoriously difficult to calculate accurately due to the presence of mixed phase materials with variable gas content. When flows from different wells, owned by different companies, are combined to feed a separation plant this inaccuracy creates doubt about each owner’s share of the oil and gas delivered for further processing. Using the on-line mass balancing and data reconciliation ability of mPower, it is possible to reduce this uncertainty by improving the reliability of the total set of measurements both by identification of rogue measurements, and by statistical improvement of the overall data quality. The result is more accurate and less contentious assignment of revenue to owners.